The typical weekly episode touches on the fallout from Sabres locker clean out day and the comments made by Chad Johnson, Johan Larsson and Ryan O’Reilly. We also discuss the tragedy that has struck the Humboldt Broncos along with the response from the hockey community at large. Our conversation regarding Humboldt begins at 48:00 if you wish to skip ahead to that portion of the show. Perhaps this season won’t be about winning the Cup for the Sabres, but that might not be all bad. If suffering is indeed what Sabres fans are in for, at least the crop of fresh faces on the roster will provide a compelling narrative to follow for the season. 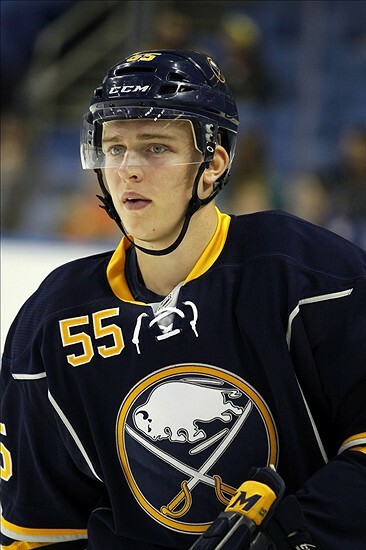 In the weeks between the draft and training camp, the Sabres voiced their support of Rasmus Ristolainen as an NHL-ready prospect and confirmed that Mikhail Grigorenko would play the season in Buffalo. Additionally, players like Zemgus Girgensons, Johan Larsson and Mark Pysyk began showing that they’d also be vying for a spot on the roster that takes the ice in Detroit on October 2. With only six days left until the regular season opens, the roster is beginning to take shape with only a few spots left to confirm. How many fresh faces will be on the opening night roster is one aspect that hasn’t been determined at this point. Buffalo still has nine defensemen in camp with newly signed, junior-eligble Nikita Zadorov amongst the group. Zadorov has received rave reviews throughout the summer and the preseason and has probably earned himself his nine-game tryout before being sent back to London. However, the already crowded blueline corps has little wiggle room to find a spot for Zadorov, even if it is for nine games. While most of the return that Darcy Regier received at this year’s deadlines came in the form of draft picks, there were still a trio of trades made that will affect the Sabres moving forward. The lone disappointment of the deadline might just be that more moves didn’t go down. Simply expecting a complete overhaul of the roster is rather unrealistic, but with players like Drew Stafford, Thomas Vanek and Ryan Miller rumored to be on the block many expected today to end with more than just one player (not counting Regehr and Leopold) sent on to a new team. Darcy Regier wouldn’t say it outright in his press conference, but he maneuvered the trade deadline like a general manager leading a rebuild. Regier’s moves netted the Sabres eleven total picks over the first two rounds of the next three drafts. Eleven picks. That includes two first round and two second round picks this year, a first and three seconds next year and a first and two seconds in 2015. 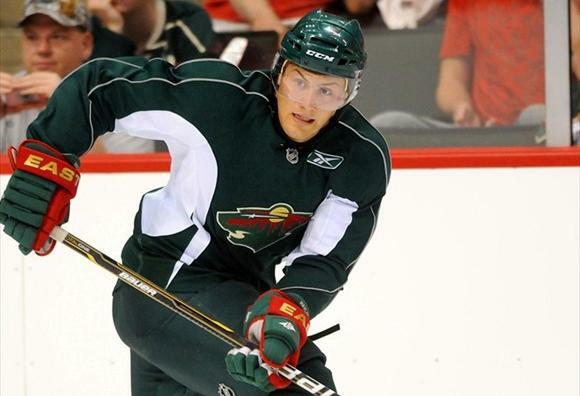 In addition, Regier acquired a pair of prospects in his haul from the Jason Pominville trade. Jordan Leopold and Robyn Regehr probably weren’t going to be part of the team’s plans for 2013-14 as the season began to spiral out of control. Regier got the maximum return that he could for each player and pulled the trigger. Given that second round picks are valuable commodities, he did a good job in netting a trio of the picks for his two pending free agents. While the Pominville trade was somewhat expected, the magnitude of the deal may not have been. Two picks (first in 2013, second in 2014) and two NHL-ready prospects for the former captain is a solid haul and specifically the type of trade that is relatively foreign when you look at the moves typically made by Regier. While the Sabres haven’t been in full sell mode for some time, Regier has also never had to deal with shipping out such a valuable commodity. The closest you could come would be getting Steve Bernier and a first for Brian Campbell, but even that pales in comparison.